Do you choose joy or stress? 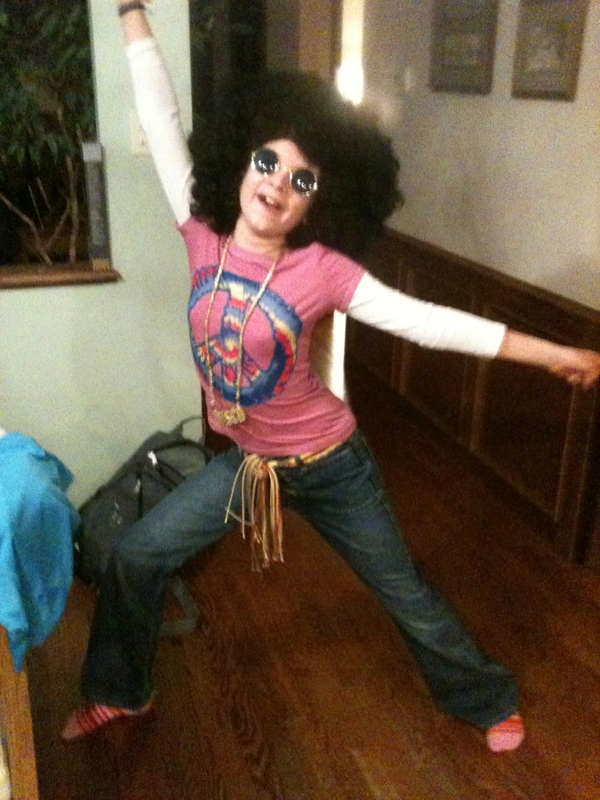 Life is so groovy mom!! I recently discovered Dr. Christiane Northrup through another great community I am connected with the Himalayan Institute. Dr. Northrup is a champion for women’s health and believes we are the key to our well-being, how empowering! Rather than thinking we are victims of unknown forces, she believes we have a say in the matter. As I travel my path in this life I have made major changes, the most profound changes have been my relationship with my well-being and in return I have been blessed with an abundance of peace and health as a result. I have also been blessed with awareness especially awareness of others who seem to be struggling with the same problem I had, which was the mistaken idea that by sacrificing my own well-being and taking care of everyone else first, was the road to sainthood. I found out it’s actually the road to insanity. I personally saw my mother and my grandmother always do for everyone else first and take care of themselves last. So this way of being was etched deeply into my DNA and well as environmentally reinforced. This way of being is further fortified as a mother taking care of very young children they cannot feed themselves or take care of themselves they rely on you completely. We must remember though as mothers our job as they grow is to teach them to take care of themselves, have their own experiences, learn from their own struggles, experience their own joy. I remember when I started working with Lynn Erlinger my ontological coach and she stressed managing my well-being, at first even trying to carve out time to get enough sleep every night was a real challenge for me. I was a TV junkie, mainly because I was exhausted but still wanted to spend time with my kids, so we would watch TV together. My TV addiction was further strengthened while caring for my dying father it was the only pleasure he had left while he was bedridden so we would watch hours and hours of TV together. Lynn had me create a well-being checklist for my day, my week and my month. I listed those things that I knew if I did on a daily, weekly or monthly basis which supported my well-being, and in turn supported my mental and physical health. When I first started my well-being checklist I had things like this on it; getting at least 7 hours of sleep 5 days a week, flossing my teeth, yoga at least once a week, getting a massage once a month, intimacy with my husband, exercise, journaling, drinking 64 oz of water each day, and eating healthy meals at regular times. All the things that I knew if I did them and did them regularly I felt good. One thing that I began to understand is during times when I felt very anxious and little things would send me spiraling into panic, anger or anxiety, Lynn instructed me to check in with my well-being checklist, without fail every time my well-being had been neglected. I could get pretty nutty when my well-being was on the back burner. This whole idea of taking care of myself was so uncomfortable to me, what would people think, my gosh a good woman sacrifices for everyone around them after all, so I even put a code name on my calendar so the people at my office did not know I was getting a massage. I wanted it to appear I was at an evening business appointment. I laugh about it now and my massage therapist at Stillpointe knows my code name for her which I still use as a reminder of how far I have come. I felt getting a massage was an over the top indulgence rather than a well-being practice. Massage not only helps with stress, it helps with a variety of the body systems like the lymphatic system which both delivers nutrients to the cells and carries away excess water, cellular waste, bacteria, viruses and toxins. So massage is not just an indulgence it is a vital part of my well-being plan. I went from being a couch potato to running a marathon and running is part of my exercise routine now along with yoga three times a week and healthy eating. I am proud to say I went to a nutrition coach, Eileen Vollmer to help me with healthy meal preparation for my family and healthy eating habits. I do not consider it a diet just a new way of life and I lost 15 pounds and feel great. As I stated earlier I am acutely aware of others who are in this same pattern of sacrificing their own well-being and tending to everyone else in their life first. I needed the nudge from Lynn to see this for myself and I hope that someone reading this will receive their nudge. I see people, mainly women but men also, who are rushing around everyday filling their day with appointments, commitments, activities and deadlines, and their well-being practices have to be crammed in around all of that, rather than the other way around. We have become a society that reinforces and praises the rat on the wheel approach to life. When in reality for us to truly evolve as a human race we need to slow down, our brains function better, our creativity is increased, our goodwill towards others is fostered. When you are racing through your day anyone that slows your progress is an irritant. When you are consciously experiencing all that has been put in your path you see these moments when you have to slow down and observe as blessings not curses. Here is what putting well-being as a top priority can do for you, it lowers the production of the stress hormone cortisol; which is linked to hypertension, depletion of energy and increased susceptibility of infectious disease. Here’s what putting my well-being first did for me; I have increased energy, little things no longer set me off, my kids have actually told me I am a nicer mommy now, my kids are healthier because I have the energy to make healthy meals and engage in outdoor activities with them, my husband and I have a healthier and more intimate marriage. The most important thing that putting my own well-being as a top priority is that I am setting a healthy lesson for my children, family and friends and breaking the cycle of the sanctity of self-sacrifice. So my friends as Dr. Northrup so magnificently states, the choice is yours; do you want a life filled with joy, abundance and health or stress, fatigue and disease. Please do not fool yourself into believing anything else except that the choice is yours and yours alone. Posted on October 28, 2012, in Humor, Life, Spiritual Journey and tagged choice, Dr. Christiane Northrup, Eileen Vollmer, Himalayan Institute, Lynn Erlinger, massage, Stillpoine, Success Trek Coaching, well being, women's health, yoga. Bookmark the permalink. 2 Comments.